Outside: "My secret to success? 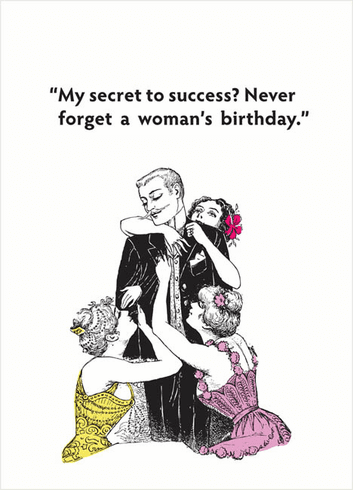 Never forget a woman's birthday." Inside: Wishing you much love and adoration on your birthday.